To receive email from Mary Gray, add cms@clays.org to your safe sender list. I would like to take this opportunity to express my heartfelt thanks and gratitude to all members for your unflinching loyalties and contributions to the Society. The time has come to renew your 2016 membership in The Clay Minerals Society. You should have recently received an e-mail to this effect. The online renewal process (www.clays.org) is straightforward. Please take a few moments to renew your membership. I also want to challenge you at this time to recruit as many colleagues as you can to become the members of the Clay Minerals Society. Imagine the impact we could have if every member succeeded in recruiting at least one colleague to join our ranks. I am glad to announce that the CMS website is being revamped in order to make it more amenable to handheld devices. Another notable activity of the CMS leadership is considering the best path forward for our journal Clays & Clay Minerals, the heart and soul of our society. In particular, the editorial board, executive committee, and council are examining proposals from two vendors that could positively influence the impact factor, circulation, distribution, and revenues from the journal. The 52nd CMS Annual Meeting/ Euroclay2105 held 5–10 July 2015 in Edinburgh (Scotland) was successfully completed. The conference was superbly organized by Dr. Steve Hillier and Mr. Kevin Murphy and was attended by >500 delegates (including ~130 students) from 48 countries around the world. I am also pleased to report that planning for the 53rd CMS Annual Meeting, led by our past president, Dr. Crawford Elliott, is in full swing. The upcoming meeting will be held 5–8 June 2016 in Atlanta (Georgia, USA). Do note that the organizers are keen to receive enquiries about support for this meeting, in terms of attendance, financially, or otherwise. Do contact them - details below. I know that both CMS and clay science are dear to you. I would appreciate your suggestions, recommendations, and contributions to any aspect of the operation of the society. I also encourage you to step forward and serve on one of the many committees of the Society. It is also important that we recognize the deserving colleagues for their contributions to clay science. Please identify and nominate deserving colleagues for one or more of the three awards - details below. Visit the conference website for next year's annual meeting, being held in Atlanta, Georgia, 5–8 June 2016. The Marilyn and Sturges W. Bailey Award—the highest honor of The Clay Minerals Society (CMS)—is awarded solely for scientific eminence in clay mineralogy (in its broadest sense) as evidenced primarily by the publication of outstanding original scientific research and by the impact of this research on the clay sciences. The G. W. Brindley Clay Science Lecture Award recognizes a clay scientist who will infuse the Society with new ideas, someone who is both a dynamic speaker and involved in innovative research. Dr. Brindley himself approved the concept of The Lecture, and the speaker should deliver a lecture that Brindley himself would applaud. 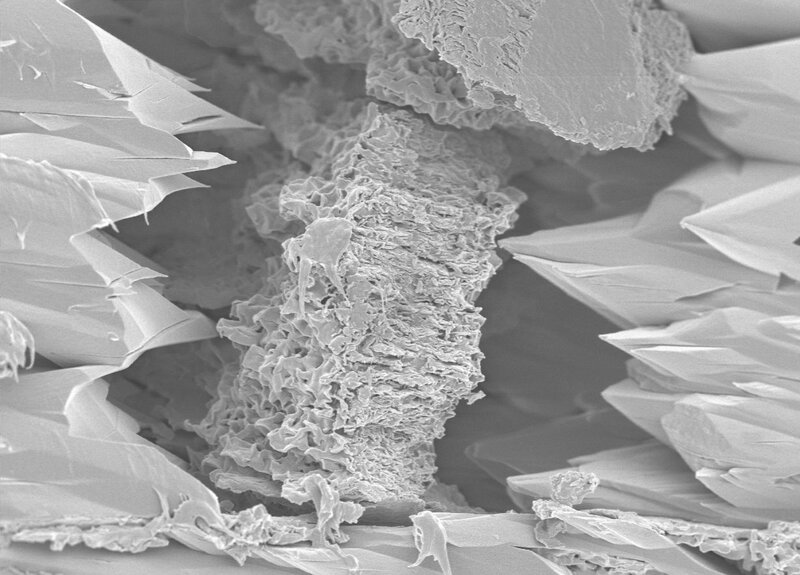 The Marion L. and Chrystie M. Jackson Mid-Career Clay Scientist Award recognizes mid-career scientists for excellence in the contribution of new knowledge to clay minerals science through original and scholarly research. The Awardee is to be within the ages of 39 and 60. Nomination packages must be received electronically by 6 March 2016. Details regarding each award may be found at http://www.clays.org/SOCIETY%20AWARDS/Guidelines.html or by contacting Jim Amonette, Awards Committee Chair at abajea@gmail.com. The Clay Minerals Society annually awards several grants of up to $3000 through its student research grant program. The Research Grant program provides partial financial support of research for students of clay science and technology. Research Grant applications are judged on a competitive basis considering the qualifications of the applicant, the objectives of the research proposal, design of the research project and relation to Clay Science. More information here. The travel grant program is designed to provide partial financial support to graduate students to attend the annual meeting of the Clay Minerals Society to present results of their research. Travel Grants can be requested for up to $1000 per grant for intracontinental travel or $1500 for intercontinental travel. Funds can be used to pay for: (1) meeting registration at the student rate, (2) field trip(s) that are part of the meeting, (3) CMS banquet ticket, (4) pre-meeting workshop, (5) travel, and (6) lodging. More information here. email to Reinhard Kleeberg. Information about the competition including guidelines and previous winners can be found here. The competition is free for all to enter; those who are not members of the CMS are encouraged (but not obliged) to join. submission of results by April 8th 2016. 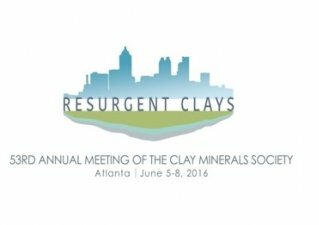 The top three contestants with the most accurate results will be announced at the 53rd Annual meeting of the Clay Minerals Society (June 5-8, 2016, Atlanta, Georgia. Only the names of the top three contestants will be published. The names of the other participants will remain strictly confidential. The competition is open to anyone interested in quantitative mineral analysis, with particular emphasis on clay mineralogy. work put into its preparation, potential participants are strongly encouraged to plan ahead and only request samples if they are sure they can complete the analysis and return results to the organizers by the due date. Those who request samples and do not send in results or fail to return the samples unopened WELL BEFORE the due date will not be eligible to participate in future Reynolds Cups. A waiting list will be kept to offer returned samples to other potential participants.